This entry was posted in Yankees and tagged ANDY PREACHES GOSPEL! by edb23. Bookmark the permalink. This is exactly what I expected when the Yanks signed Pettitte. Veteran pitcher who knows how to prepare, handle the media, play in NY, and pitch in big spots. I felt that his biggest contribution to the club will be as a mentor, not as a pitcher. 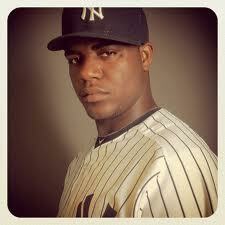 Like you said, if he is able to straighten out Pineda, it will prove to be a tremendous signing by Cashman. If Pineda can’t get his act together, Cashman will take a huge hit for trading Montero, which I would bet could be the beginning of the end of his reign a Yanks GM.